Over the past 5 weeks, I've been sharing recipes that ended up in my ex-husband and his wife's freezer to help them prepare for their upcoming baby arrival. I'm excited to say that today, I started prepping meals for my own house! I don't know what summer is like for all of you, but for me, it's turning into being gone four days a week at various sports practices and camps. Honestly, I'm already exhausted thinking about it. 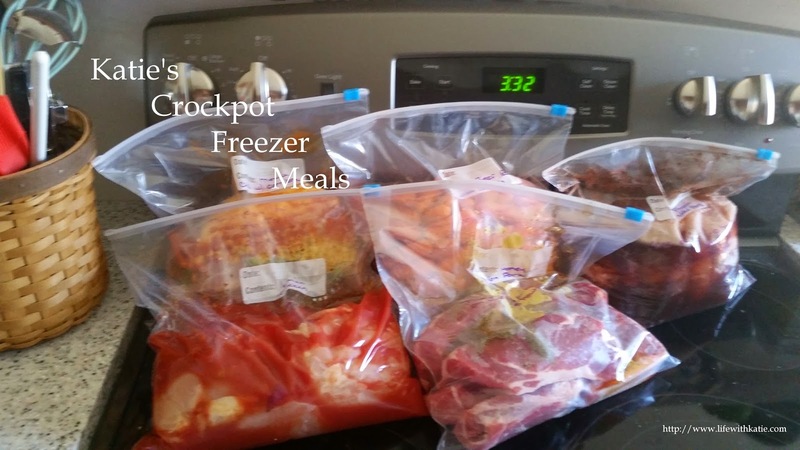 Having crockpot meals in the freezer is going to make my life so much easier. Right now, I only have maybe half a dozen, but my goal is to have enough to get us through at least a month. Let's get started, shall we? Combine all ingredients into your freezer bag. Squeeze out excess air, seal and freeze. Cooking instructions: Thaw in refrigerator. 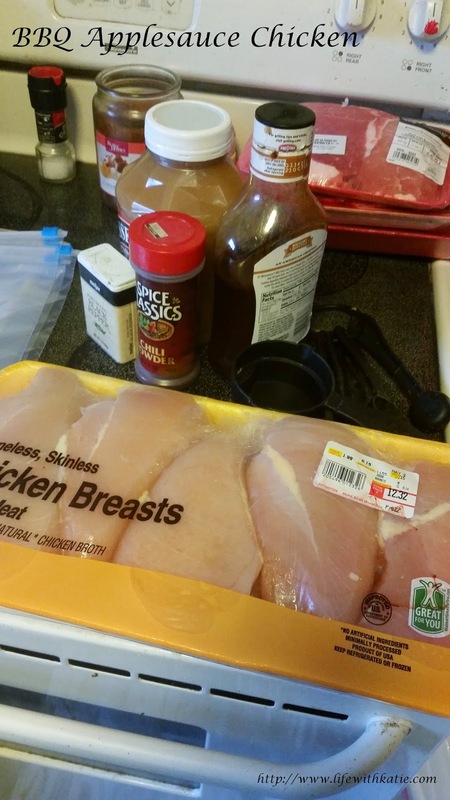 Place in crockpot. Cook on low for 3-4 hours. *Chunky applesauce is getting harder and harder to find, so when I can't find it, I substitute cinnamon applesauce.